The characters in Friday Night Lights are not ones you shake easily. Besides just appreciating them as well-drawn I care and think about them a lot. Knowing I can only go back with them and not forward is tough. Much of the show’s emotional impact stems from the central foundation of Eric and Tami Taylor’s marriage, one of the most honest and affectionate portrayals of a relationship I’ve ever seen. It’s a study of love confronted by the everyday. The Taylors face plenty of big, dramatic problems but we all know that often it’s under the assault of minutiae that love gets killed. Friday Night Lights shows us what it takes for a marriage to survive over the long run, what that looks like day-to-day. The last season was good despite some distracting plotlines like Julie’s affair with her TA, Vince’s dad’s descent into evil, and Tami’s attempts to get through to Epyck (yes that’s how her name is spelled). But there were always distracting plotlines in this show, even not counting season two, as well as tiresome themes like Dillon vs. The Taylors and Athletes vs. Journalists. In the end they don’t matter enough to take you away from the characters, who remained truthful and deeply felt despite the digressions. A lot of the characters introduced in season four felt more settled-in and real in season five, particularly Madison Burge’s Becky. When Becky was introduced last year I couldn’t stand Burge’s hyper delivery as she cocked her head and talked out of the side of her mouth. But she lost that edge this season, and when Becky felt uneasy it was sad rather than chirpy. This patience gave an added weight to Becky; her friendship with Mindy and slow courtship with Luke produced some of the sweetest moments of the series. The finale was a little saccharine at times, but I think finales have a right to indulge. It gave us some lovely images, particularly when Matt, Julie, Tim, and Tyra are dancing at Buddy’s bar. As Matt spins Julie around they exult in their happiness with easy steps, while Tim and Tyra clutch each other with closed eyes. This is not a juxtaposition that sides with either of the couples but one that gives space for all of their emotions. Julie and Matt’s engagement at first seemed unnecessary, like the writers were trying to squeeze it in as a way of letting you know what the future held. But bringing it up when Eric and Tami are seemingly going through the hardest time in their marriage was very moving. And Julie’s calm entreaty for trust from her parents made up for the focus on her selfish, impetuous tendencies throughout the last season. Bringing Tim and Tyra back together at the end felt right, with both of them having started out the series with so little energy to reject the stereotypes that defined them. While Tyra eventually did rise above the path that was laid out for her, things weren’t as simple for Tim. He knew what he was and what he could easily turn into. He wrestled with wanting to give in to that, to embrace what he felt people expected of him, and being disgusted by it. For me the soul of the show will always reside with Tim, because of this half-indifference towards what kind of life he led wound up with so much integrity and unfailing compassion for everyone around him. His struggles always felt the saddest and his aspirations were always the humblest. The relationships in his life were so precious they inspired an almost desperate devotion. 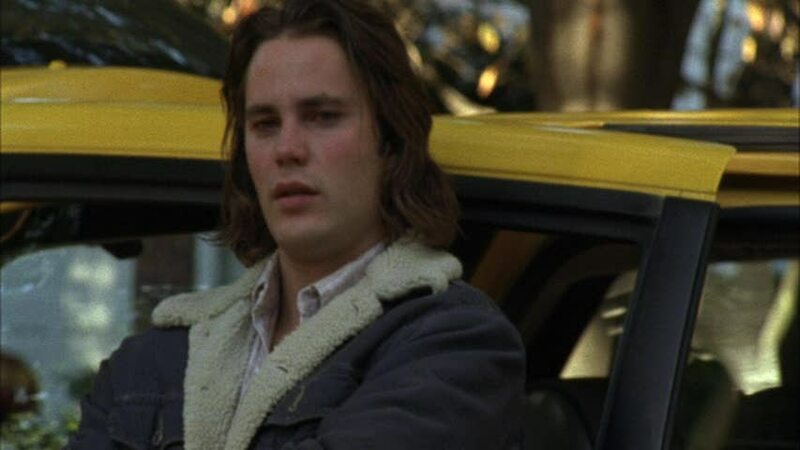 And so when I think of my favorite moments from the show, the top will always be Tim crying as he watches Jason reconcile with his girlfriend Erin in New York while Sun Kil Moon’s “Gentle Moon” (the most irresistibly sentimental of songs) plays. After being so close in with Jason and Erin during that scene, almost forgetting that Tim was there, cutting to him and getting this uncharacteristic outpouring of emotion was like a punch in the gut. You tend to forget, or at least I did, how deep-rooted Tim and Jason’s friendship is. The show would kind of leave it alone for long stretches, make you think maybe they’d grown apart too much, and then all of a sudden you get this blow of Tim mid-sob, watching his dearest friend slip away from Texas for good. That the emotional force of this shot is enough to make me cry even now is what I love, and will miss, about Friday Night Lights.